Adrianna mac is able to suit any needs for your special day. All equipment such as lighting, microphones and PA system is supplied by Adrianna. and can cater for audiences between 50-300 people with ease. If you really want to take the party to the next level then the trio is the right choice for you. Adding live drums to the mix adds a bit more dynamics to the night. If you’re wanting to go all out then look no further! Adrianna Mac can bring the party with the Adrianna Mac Big band. Anywhere from 5-8 members depending on your needs, including keys, brass, bass, drums and guitar! This is the ultimate entertainment for you special night! 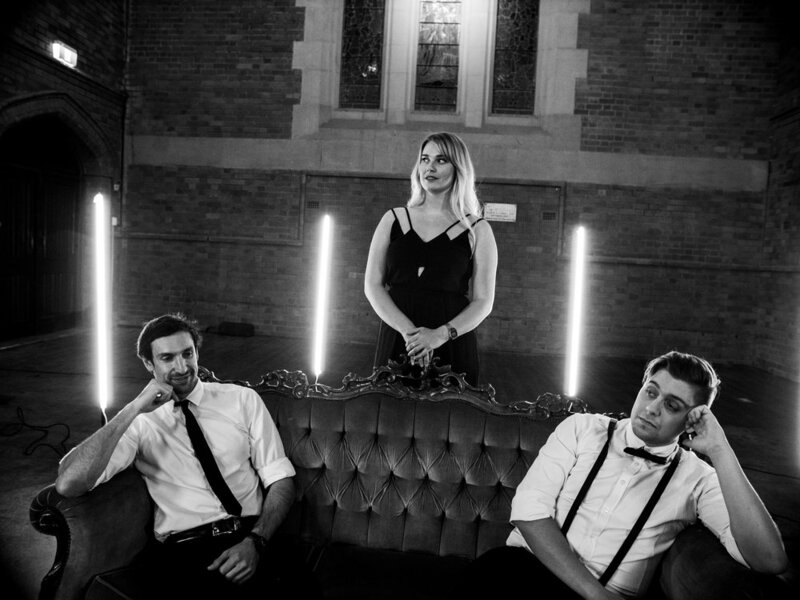 Adrianna Mac also offers extra packages for if you’re on a bit of a budget but still want a DJ and a band in the same night! We have you covered, wether its dinner music, ceremony, reception or the whole wedding! We can plan out your evening which is specifically tailored to you needs. 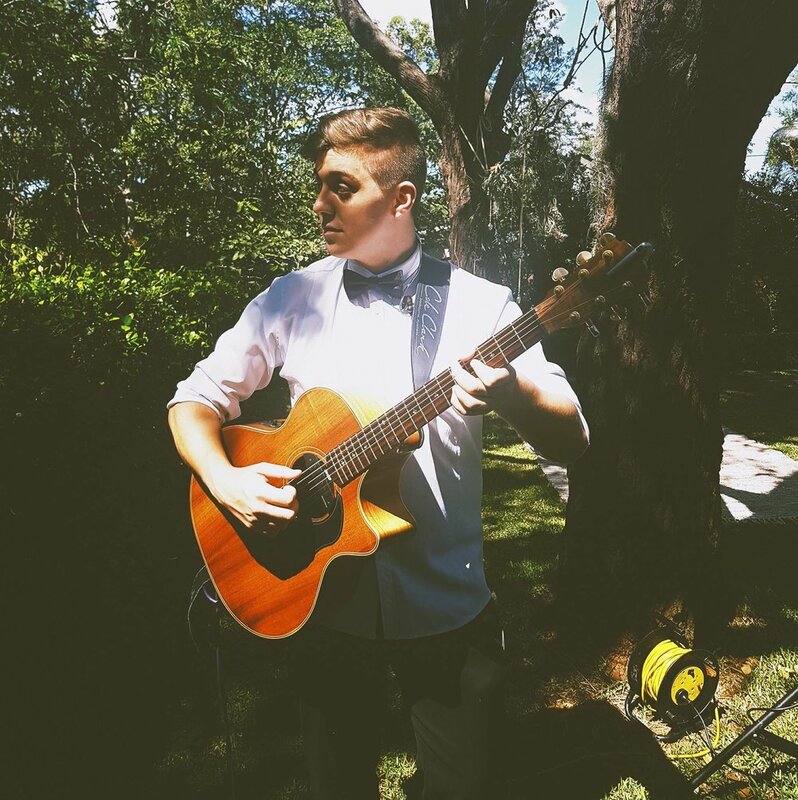 For a smaller audience, wedding ceremony, canapés, reception or corporate function, Josh (pictured) is the perfect artistic flair for an intimate event. 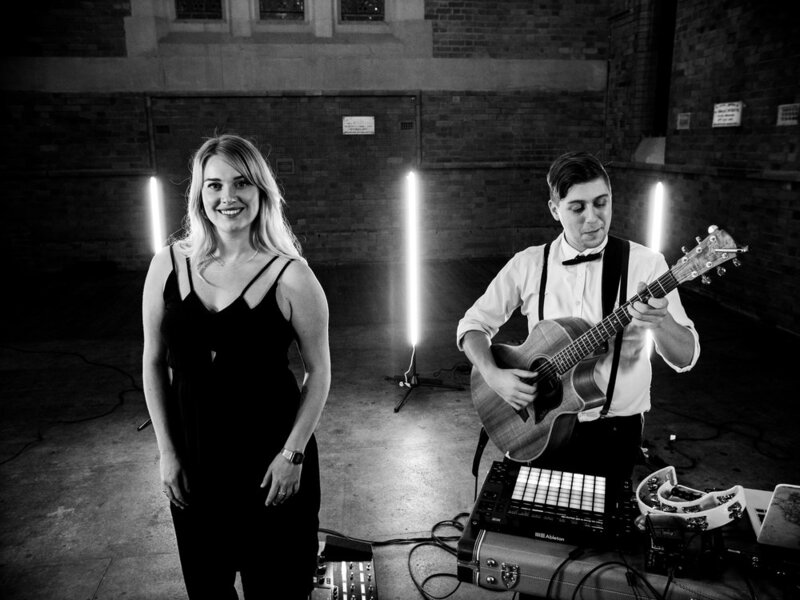 His blend between instrumental traditional acoustic folk and modern arrangements are the perfect mood setter for your occasion.